Do Automatic Litter Boxes Work? Do Automatic litter boxes work and can we rely on them? You use cheap cat litter that interferes with the machine operation. You pick a self-cleaning litter box which mechanism can’t keep up with your cat’s elimination habits. Consequently, we can state that automatic litter boxes do work but you must consider the above points. I will analyze point by point why you need to pay attention in all these aspects so you have a better understanding. Getting the right self-cleaning litter box is not that hard. You need to learn the key details that are crucial when choosing these devices. This is very simple. Many cat owners check the general dimension of the litter box and they usually think the unit is large enough to accommodate the cat. But in some cases the outer structure of the device is much larger than the actual litter area where the cat will do its business. The result? A cat without much room to do its business, consequently, the undesirable litter box accidents that won’t clean automatically. 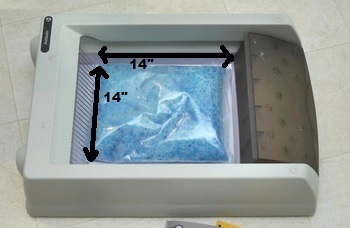 Additionally, if you have a cat obsessed with covering its business, making big piles of litter, a rake-type automatic litter box may cause some frustration to your feline friend since they usually try to cover scratching the sides of the litter box, instead the litter itself, due to the reduced space. However, if your cat doesn’t mind just covering a little and doing some short digging (scratching on sides) leaving the litter box quickly after, the rake-type it’s just fine. If your cat is a professional pooper and you can’t keep up with the litter box most likely an automatic litter box will have a hard time doing it as well. Even if the machine handles the scooping, it won’t be too long before you’ll need to empty the compartment where the clumps are deposited. 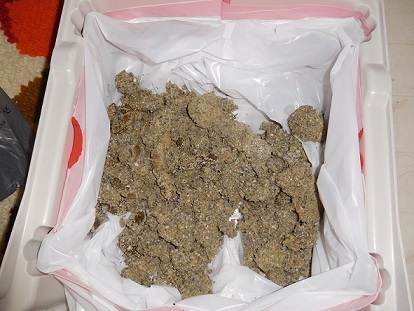 Auto litter boxes featuring a scooping rake are not usually suitable for cats that poop and urinate a lot. Instead, you must choose an automatic litter box with a rotating mechanism to self clean and with a large waste compartment. Also, if your cat is too messy when doing its business, e.g. bad aiming, spraying high, pooping anywhere but in the litter area, getting an automatic litter box could be a bad idea, unless you get a very well designed device that has considered every possible scenario. The same applies if you have multiple cats, the rake-type automatic litter box is not very efficient or reliable when used for more than a single cat. You need a more sophisticated system that is designed to keep up with larger amounts of waste and with a durable motor that is designed to perform a large amount of cleaning cycles before its lifespan expires. When using the wrong automatic litter box for multiple cats, the motor wears out much faster and it starts failing. Each brand recommends a certain type of cat litter that will allow the device to operate smoothly. If you use cheap cat litter or the wrong one, most likely the device won’t work well and won’t be reliable. 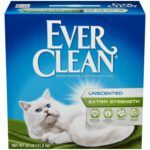 I have seen many cases where the device got ruined because people put cheap non-clumping cat litter or a cat litter that is not meant to be used with that particular system. Consider that self scooping machines must replace the human scooping, which is really hard to accomplish. When you scoop the cat’s litter box you get the corners and also you scrape the bottom of it, making sure you get every clump stuck at the bottom and corners. Obviously, an automatic device won’t be able to do exactly the same thing so you need to choose a system that at least gets the same result, although using a different method. You must choose an automatic litter box in which design has been applied modern engineering and these are not the low priced units. The scooping rake features thins that are too short and clumps get stuck in it. The rake moves forward vertically, which makes it harder for it to rake the litter in case of litter piles, sometimes getting stuck. Some models feature rakes that lift the clumps before dumping them into a waste receptacle and this lifting action sometimes causes clumps and litter to go onto the floor. These are only a few examples of bad designed automatic litter boxes that feature a scooping rake. However, you can find well designed brands that feature a scooping rake, offering good reliability (see below). Also, you can find other self-scooping systems in the market, such as the rotating mechanism. What Are The Automatic Litter Boxes That Work The Best? 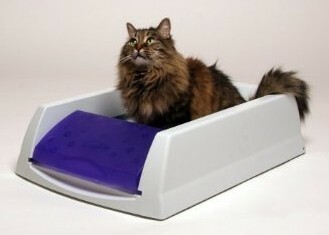 With a scooping rake: The ScoopFree Automatic Litter Box. The rake has large metallic thins. As the rake moves, it changes pointing forward and backward when raking the litter box, making it much more efficient and less prone to getting stuck. Also, this unit deals with less scooping because the urine gets absorbed by the crystals so the machine only has to collect the feces clumps to deposit them in the waste compartment. With a rotating mechanism: Litter Robot III. The Litter Robot features a Globe that rotates and drops the clumps into a waste drawer located at the bottom of the unit. This system doesn’t get stuck at all and it’s the most reliable automatic litter box so far (I own one). 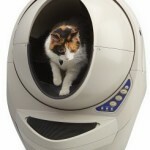 The Litter Robot III has been designed to work with high spraying cats, small to large sized cats, felines that urinate or defecate a lot, and multi-cat use. A self-flushing system: CatGenie. This is the self-flushing mechanism that is reliable, though a tiny less reliable than the first two when it comes to litter tracking control and it also requires a deep maintenance. This system collects, pulverizes and flushes the cat’s waste, sanitizing the litter box each time. Automatic litter boxes do work, you just need to choose the right one and according to your cat size and elimination habits. In my case, I use the Litter Robot for my cat and this has been a life saver for me. This unit does work and it’s highly reliable, I only empty it once a week but the unit can go much longer than that, up to 10 days with one cat. I own this machine for almost two years and it keeps working without any problem. 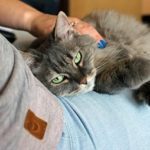 If you want to know what automatic litter box works for your particular cat, check my best self-cleaning litter boxes comparison with all the facts mentioned in this article already analyzed for you. You will know the litter pan dimension of each brand, for what type of cat each brand is suitable, percentage of reliability, type of cat litter, if multi-cat use, and much more. 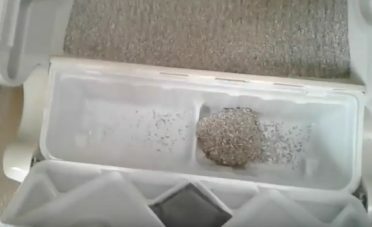 electric litter box only works manually, but not automaic. clump and seal litter being used. What automatic litter box are you using?